What a week! I think I'm still recovering from, yet another, magnificent Inbound festival (I have got to call it something more than a conference). A week filled with catching up with old friends, making new ones, learning from peers and seeing and hearing what the future will bring was as exciting as always. However, unlike last year (where the focus was on important, internal product improvements) this conference had much more of a meta-trend feel to it. You had to pay attention to notice the key takeaways, but they were there, and their impact will most likely be big. In 2005, HubSpot was born with the promise of a new product that would change the way marketers worked. Thirteen years later, that promise has been achieved. Ten years later in 2015, HubSpot launched a new CRM product with the goal to do the same thing with salespeople. This year, they announced the launch of the third piece of their "growth stack." What’s evident is that HubSpot is in the middle of a significant shift in strategy and execution. They are moving from a product-based company to becoming a platform. While I'm sure, most of the readers of this blog are thinking, "So what? What does this have to do with me?" The answer is, potentially quite a lot. Today there is one legitimate platform built for sales, marketing and demand generation. While Salesforce is a robust tool and a great company, its focus is on the enterprise market (leaving the small and mid-market without a viable platform), and the lack of a real competitor to Salesforce is not good for anyone (except Salesforce). Should HubSpot succeed in a transforming to a real platform, they can solve both problems. I'm hopeful that HubSpot is as committed as they say they are, but I should also share that I'm concerned about that commitment as well. HubSpot derives the vast majority of its revenue from products, and the focus of their announcements continues to be on going wider and deeper with their product offerings. Their hiring of Scott Brinker, the addition of more than 65 integration partners and their published pledge to connect partners, are all things that cause me to be hopeful. My recommendation here is to follow the wisdom of Ronald Reagan: Trust, But Verify. The company that gave birth to inbound marketing increased the commitment to addressing and impacting the sales side as well. While they have not said anything officially, (at least that I've seen), it's becoming increasingly clear that HubSpot is shifting to a ‘CRM first’ company. Make no mistake, HubSpot is as committed as ever to its core marketing product, but the success and opportunity they've seen with their new sales tools have them increasing their focus on sales. The announcement of their improved Sales Professional sales enablement tool is an example of that. While the tool has some potentially nice additions to it, the more prominent change is how HubSpot is selling it. For the first time in HubSpot's history, they are moving to a user minimum to access the tool. Effective November 1st, Sales Professional will be sold at $80/user/month with a minimum of five users. At $400/month this is a meaningful signal of HubSpot's intention to further their focus into more of the mid-market world. Whether you were walking the floor of Club Inbound, attending any number of sessions, enjoying the parties in Seaport or just talking amongst attendees; it is clear that sales and marketing technology is gaining a lot of attention and money. As we share with our clients at Imagine, technology will never be the reason you succeed, but it will increasingly be a reason you fail. Technology is a necessary part of any foundation for growth. But technology itself is neither a strategy or a solution, and too many companies treat it that way. I'm sure when I attend Inbound next year, technology spending will be up even more. Unfortunately, I'm also confident that business results will continue to degrade. 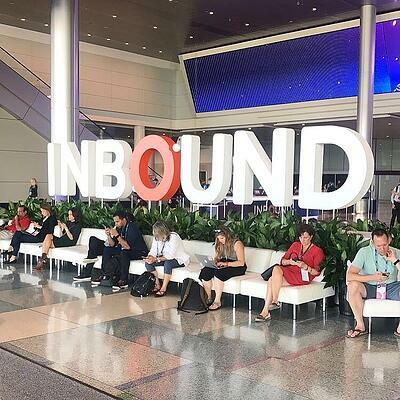 Previous Inbound conferences made bigger headlines and created greater excitement for me and others regarding the new products that were announced. However, Inbound17 was a big year. In many ways, it may have been the most significant year that I've attended. We're roughly a decade into the period I refer to as "the new playbook." As with virtually all big shifts in the business environment, the first phase is one where the market develops. I call it the land-grab phase, as it's characterized by massive growth and investments in new companies that move as fast as they can to grab new opportunities. It's chaotic, confusing, expensive and yes, really exciting. As the first phase ends you begin to see order coming into markets. Category leaders emerge and begin to entrench themselves, creating ecosystems that start to work together. Companies sort themselves by focusing on vertical expertise (products) and horizontal expertise (platforms). The events over the last 18 months, reinforced by the announcements at Inbound, indicate we're nearing the end of the first phase. I am by no means saying the first phase is over, but the playing field and rules are beginning to get clearer. 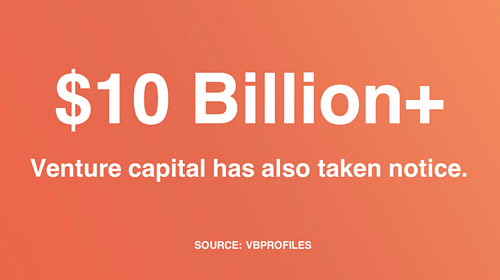 This represents a tremendous opportunity for mid-market and smaller companies who make the right decisions and embrace this new world (and yes, it's still a new world). The power at the fingertips of growth executives today is greater than at any time in history, and as more order comes into the environment, execution will become (a little) less chaotic and confusing. Growth won't become easy, but it will become increasingly manageable. There's still a tremendous amount of execution risk ahead, and uncertainty is still high. I've learned to never underestimate the impact that the lack of patience or greed have on interfering with businesses and industries making smart decisions and executing well. For those forward-leaning, growth-oriented leaders who like to "skate to where the puck is going;" the good news is that the trajectory of where that puck is going is getting clearer. Be sure to be there so you can enjoy the advantages and rewards that come with that.